With the spread of ineffective over-the-counter teeth whitening trays and strips, patients find themselves in need of a comfortable whitening system that is both powerful and creates lasting results. The KöR and Zoom!® whitening treatments offered by Dr. Gurman combine in-office treatment with take-home trays so you can maximize the brightness of teeth, without the hassle and hit-and-miss results of drugstore products. Stains are inevitable with age; however, dental patients don’t need to accept discoloration of dental enamel as a permanent problem. 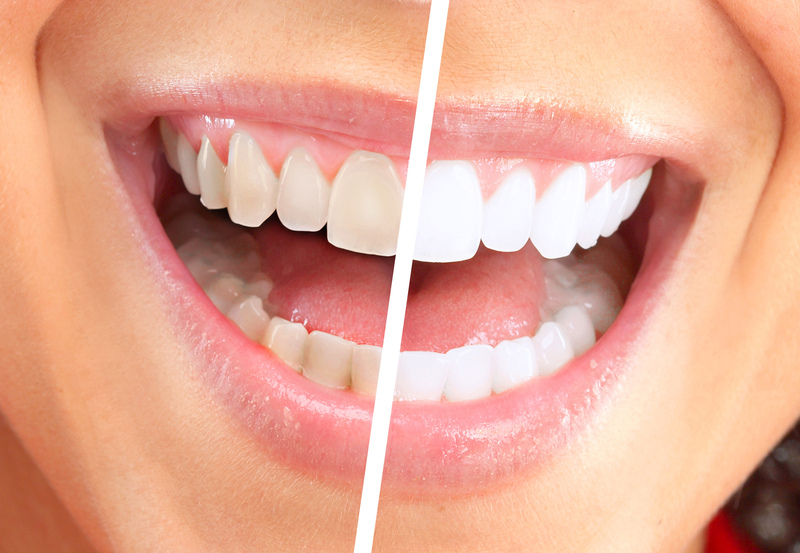 Whitening treatments allow patients to obtain sparkling new smiles either in the comfort of their homes with customized dental trays, or with a short visit to our office that is typically completed in just an hour. Our family dental practice in Thornton encourages teeth whitening before most cosmetic dental restorations. Ceramic prosthetics, such as crowns, bridges, and veneers used to restore broken or damaged teeth, are made to match the shade of surrounding teeth. As prosthetics cannot be bleached, whitening teeth beforehand allows patients the brightest smile makeovers possible with seamless dental restorations. Teeth whitening is also ideal for special occasions, such as weddings and reunions, or to lift deep-set stains caused by years of drinking coffee, tea, wine, or even smoking and taking certain medications. Zoom!® whitening is one of the many technologically driven cosmetic procedures offered at Alpine Dental Center. This same-day whitening system uses a specially designed light to activate the whitening gel, allowing it to bleach enamel and dissolve deep stains. The bleaching gel is carefully applied to teeth in several short cycles to efficiently lift stains and reveal a brighter smile. Many patients have heard about the sensitivity that comes with treatments to whiten teeth and are deterred from pursing the procedure. With the KöR whitening at our Thornton office however, we are able to maximize patient comfort during the bleaching process. KöR whitening gel is stored at cooler temperatures and does not include preservative chemicals, which increase potential tooth sensitivity. While Dr. Gurman can apply a desensitizing solution to teeth after bleaching, KöR’s formula includes components to reduce sensitivity during application. For best results, Dr. Gurman provides KöR bleaching solution with at-home dental trays that are designed to fit your teeth snugly. Our patients enjoy whitening their smiles at home and at their leisure or while taking care of important household chores. If you are looking for a brighter and more confident smile, contact Alpine Dental Center to schedule an appointment today. Dr. Gurman and his team are proud to provide comfortable same-day and take home whitening treatments in Thornton.